Nero Wolfe and Archie Goodwin have a lot of boldfaced names on their suspect list when New York’s most hated gossip columnist is murdered. There are few people Nero Wolfe respects, and Lon Cohen of the New York Gazette is one of them. So when Cohen asks for a favor, the famously brilliant—and notoriously lazy—detective is inclined to listen. 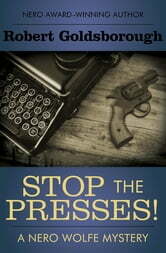 According to Cohen, someone wants to kill the Gazette’s gossip columnist, Cameron Clay. Death threats are a regular hazard for Clay, who’s hurled insults and accusations at every bold-faced name in the five boroughs. But the latest threats have carried a more sinister tone. The columnist has narrowed his potential killers down to five people: an egomaniacal developer, a disgraced cop, a corrupt councilman, a sleazy lawyer, and his own ex-wife. But when Clay turns up dead, the cops deem it a suicide. The bigwigs at the Gazette don’t agree, so they retain Wolfe and his indefatigable assistant, Archie Goodwin, to figure out which of the suspects had the mettle to pull the trigger. In this “outstanding” mystery, Robert Goldsborough, author of Murder in E Minor, “once again demonstrates an impressive ability to emulate Rex Stout’s narrative voice” (Publi**shers Weekly, starred review). 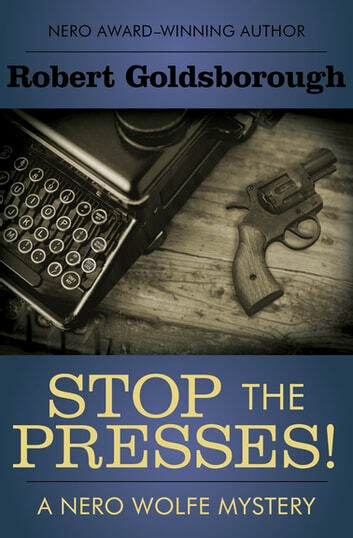 Books related to Stop the Presses!